The State Enterprise "Kyrghyz stamp"
The State Enterprise "Kyrghyz stamp" is industrial structure subdivision of the Ministry of Transport and Communications of the Kyrgyz Republic. The general activity of our enterprise is preparation to the publication and the circulation of any official post and philately products. 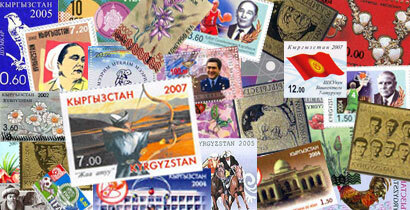 - Exporting and Importing of philately products. - Commercial activity by realization of signs of the post products.